One of my favorite fall activities is taking a fall family hike and collecting the brightest, most unique leaves that we can find. The problem is, we always come home with a large selection of leaves and no idea of how to use or enjoy them. 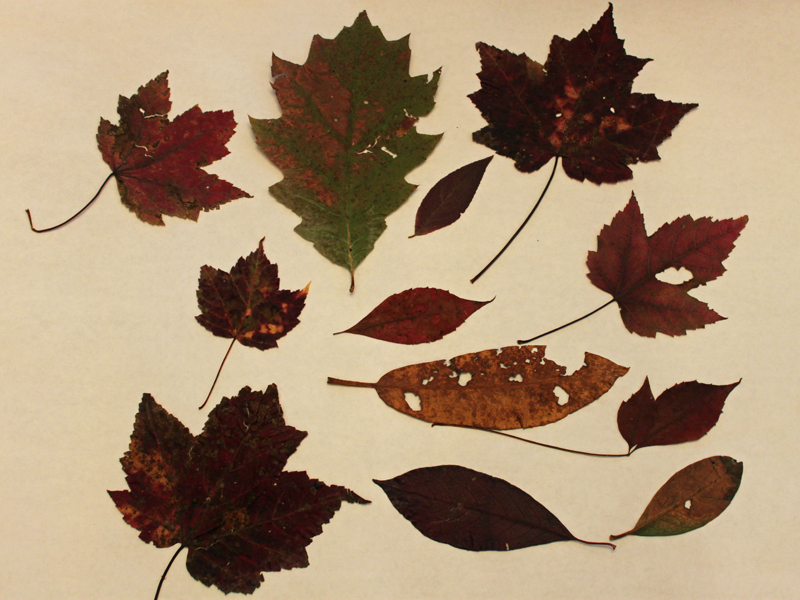 I had a fun selection of leaves sitting inside a book, drying since our fall family trip to Montana last year. 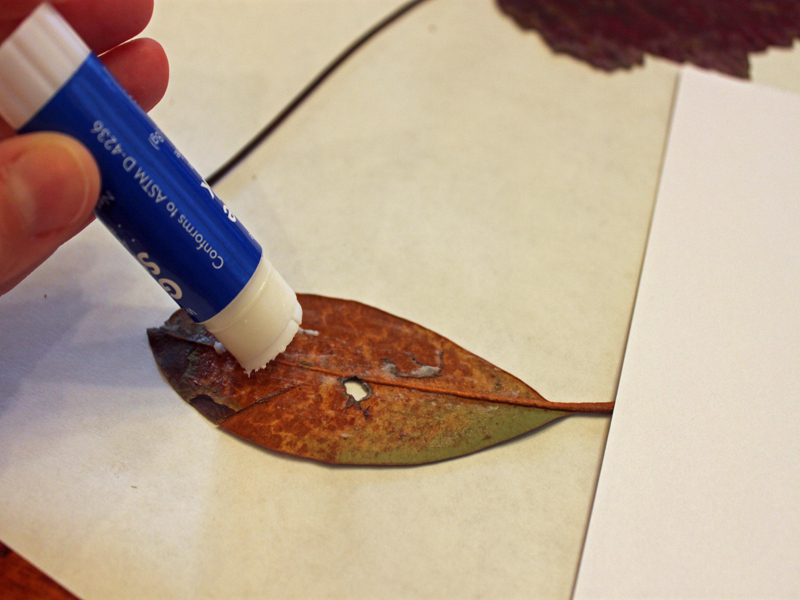 I had almost forgotten they were there, when I thought of using those leaves to create fun animal alphabet cards for my son's bedroom. This fall craft is super fun and can keep kids busy for an hour or two. 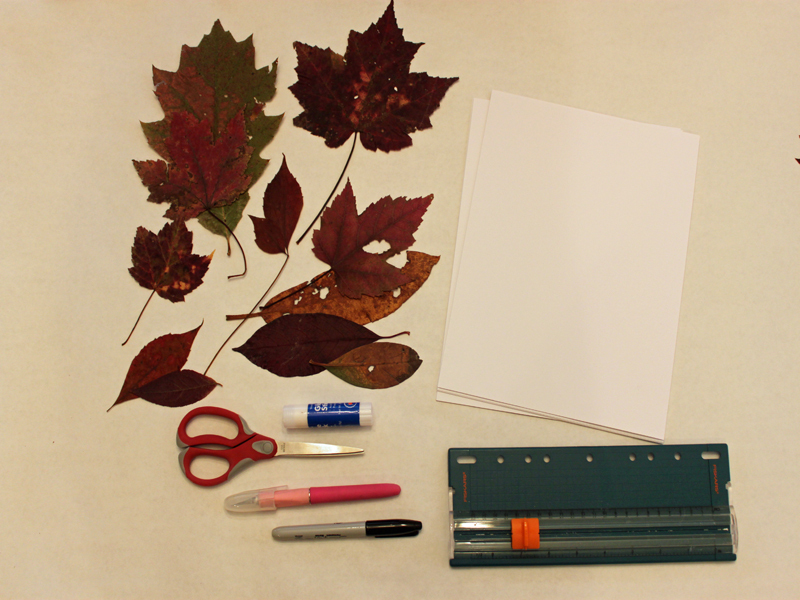 You most likely already have all of the supplies you need in your craft closet, and it's the perfect excuse for getting outside, enjoying the fall colors and taking a hike with your children. 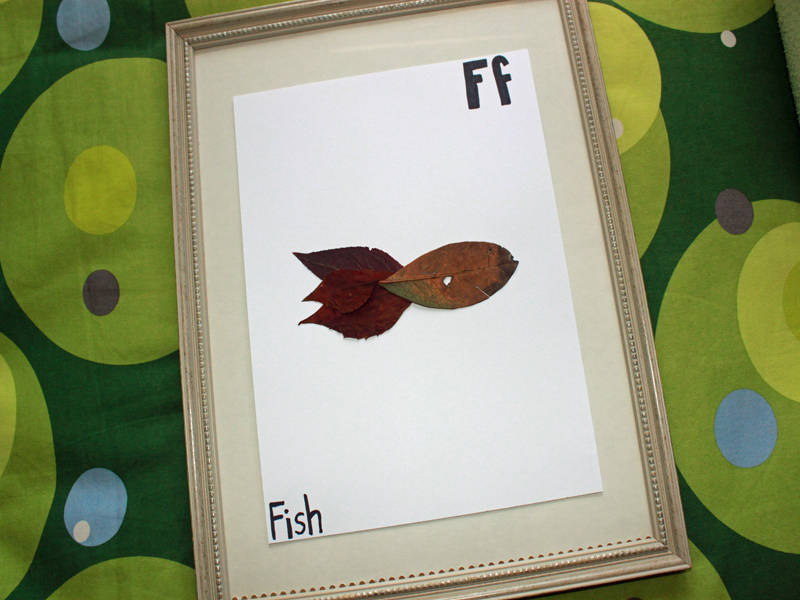 Read on for the simple directions for making a set of these animal alphabet cards for your child's bedroom. 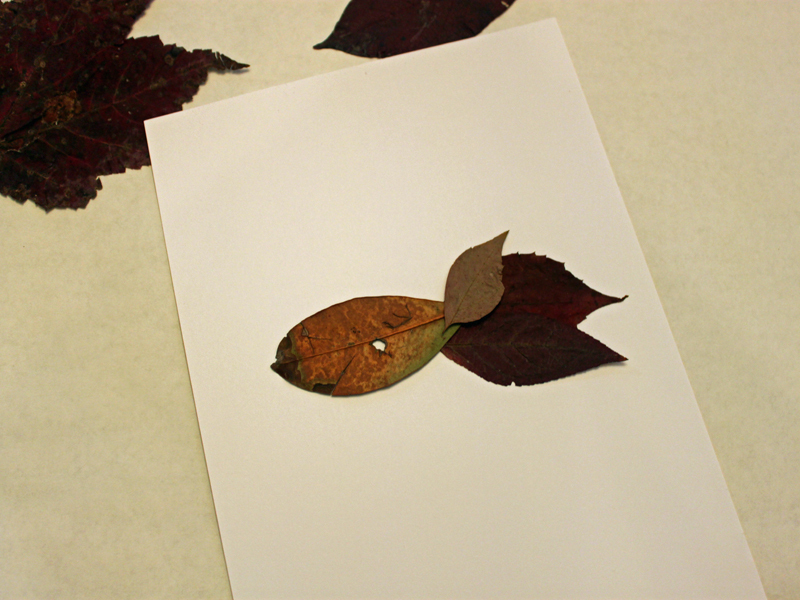 Spread all of the pressed leaves out onto the table, have your child get creative by looking at the different leaves and seeing what animals he/she can create by arranging the leaves in different orders. Use the scissors to cut your recycled paper into equal sized card shapes. You can make them different sizes depending on whether you will be hanging them on a wall as art or if you are doing an entire alphabet to display as decor in your child’s bedroom. Once your child has arranged the leaves into animal shapes, have him/her secure them onto the paper using a natural glue. Once the glue dries, write the upper and lowercase version of the letter the animal represents in the upper right corner of the card. Then, write the name of the animal on the lower left corner of the card. If you do a large version of this fall craft, you can frame a couple of them (for example, your child’s initials) and hang them in their bedroom. You can lean them on a bookshelf, or hang a series of them spelling out your child’s first name. If you are feeling really ambitious, you could do the entire alphabet and hang them just below your child’s ceiling in alphabetical order. Use the scissors to cut your recycled paper into equal sized card shapes. 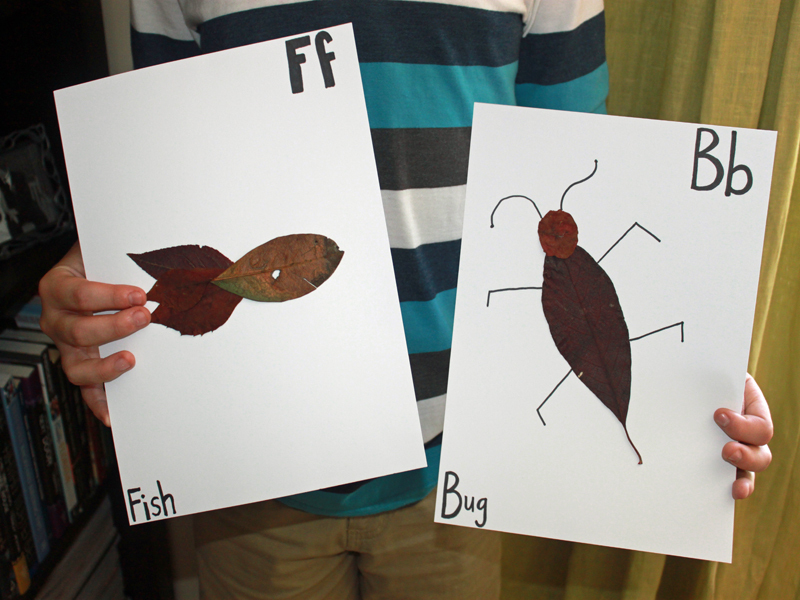 You can make them different sizes depending on whether you will be hanging them on a wall as art or if you are doing an entire alphabet as decor for your child's bedroom. 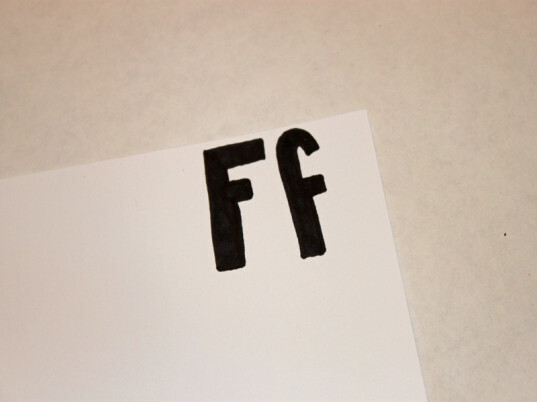 If you do a large version of this fall craft, you can frame a couple of them (for example, your child's initials) and hang them in their bedroom. You can lean them on a bookshelf, or hang a series of them spelling out your child's first name. If you are feeling really ambitious you could do the entire alphabet and hang them just below your child's ceiling in alphabetical order.